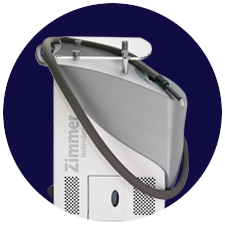 The Zimmer MedizinSystems Cryo Mini cools through the medium of air; therefore, is always ready for use without the need for supplies or consumables. 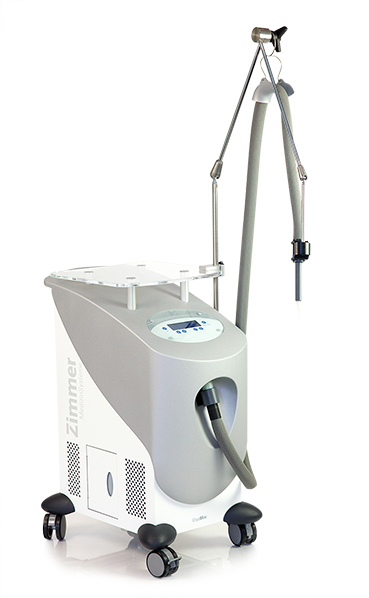 Unlike other cooling methods, such as contact cooling, ice packs, or cryogen spray, this Zimmer Medizin Chiller can cool the skin before, during, and after a treatment. This Zimmer Medizin Cooler can filter and cool down ambient room air to -10c by a closed loop circuit, and can deliver an impressive 1000L of air per minute. No need for consumables and continuous air-cooling makes the Cryo Mini the perfect laser cooler. The Cryo Mini was designed to go the distance, and look great doing it. 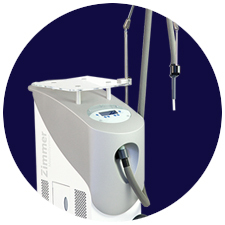 This Zimmer Medizin Cooler is used during cosmetic laser treatments and other related dermatological laser treatments. This Cryo Cooler can also provide temporary relief from cosmetic injections. Application of cold air during laser treatments can lead to a distinct reduction in pain and may reduce thermal tissue damage. The Cryo Mini is the perfect Zimmer MedizinSystems Cryo for both patient and practitioner. Combining state-of-the-art technology and engineering with contemporary design, the latest expression of the Zimmer MedizinSystems Cryo Mini is, once again redefining the Zimmer Medizin Chillers. The Cryo Mini offers a small footprint, custom designed glass shelf, hands-free operation, 9 fan speeds, lightweight treatment hose, and easy maintenance. This Zimmer MedizinSystems Cryo weighs approximately 75lbs and is 25 inches in height, 13 inches in width, and 23 inches in length. 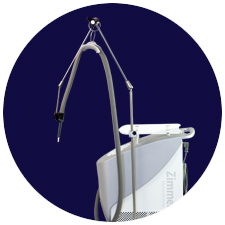 The Zimmer Medizin Cryo Mini has an optional, articulating arm that facilitates hands-free operation. The support arm gently holds the Cryo Mini Hose to provide the operator hands-free operation. Position the articulating arm over the treatment area, and than press start to provide immediate patient relief. The clear LCD display and ergonomically designed touch keypad represents the latest technological development. A large display clearly indicates all treatment parameters. By the push of a button, the operator can easily change the 9-speed therapy fan, adjust the treatment time, and start and stop the Cryo Mini unit. 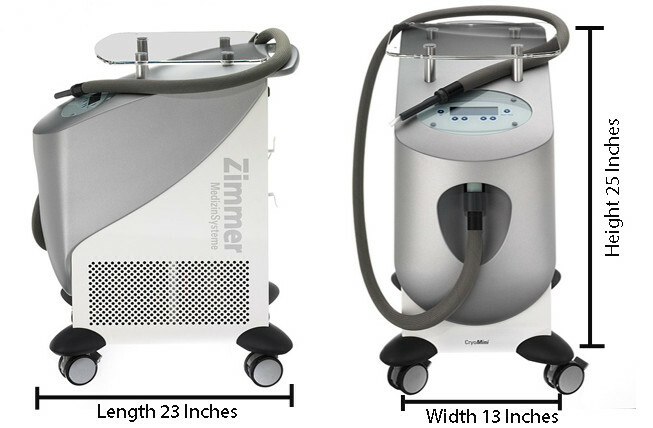 The Zimmer MedizinSystems Cryo Mini has a lightweight treatment hose that measures around 6 feet in length. This treatment tube allows the cold air to be delivered from the CryoCooler to the treatment site. 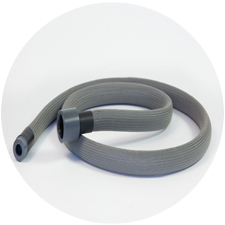 A focusing tip can be connected to the end of the hose to provide more specific cooling to a smaller targeted area. 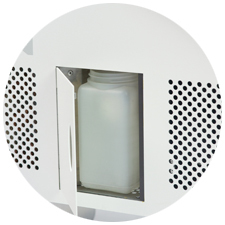 The Cryo Mini has a flat glass platform that provides a convenient location for an IPL system, smoke evacuator, laser, or other important items. The glass platform provides additional shelving right where you need it. When you power on the Cryo Mini, the chiller performs an automatic self-test to check the operation of its various components. This Zimmer Cooler features an air filter that should be vacuumed weekly (Don’t Remove), and a condensation collector that should be emptied weekly. 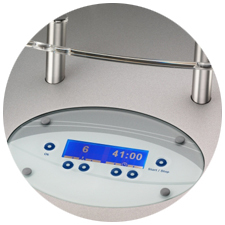 The Zimmer Cryo Mini offers clear and easy operation by sensor touch, glass keyboard. It’s ease of use makes the Cryo Mini very simple to operate, while the level of performance it delivers is normally only found in much larger devices. The operator can customize the intensity of the Cryo Mini by choosing among 9 different airflow rates, and can adjust the treatment time at the push of a button. Just press start for instant cooling! The Zimmer Cryo Mini was a perfect fit for our laser center. We needed a laser cooler that was portable and compact to take with us to our centers. The Cryo Mini was a perfect choice for our needs and centers. The Zimmer Cryo Mini was a terrific purchase for our laser practice. After a few patients complained of the laser treatments hurting too much, the practice decided to purchase a Zimmer Cryo Chiller. Our laser room had limited space so decided to purchase the Cryo Mini. Our patients and aestheticians have thanked us repeatedly for doing so!